Red Mountain, CA. Red Mountain is a time capsule. Daily life in a high desert mining town. Pop. 130, but the saloon is shut down. 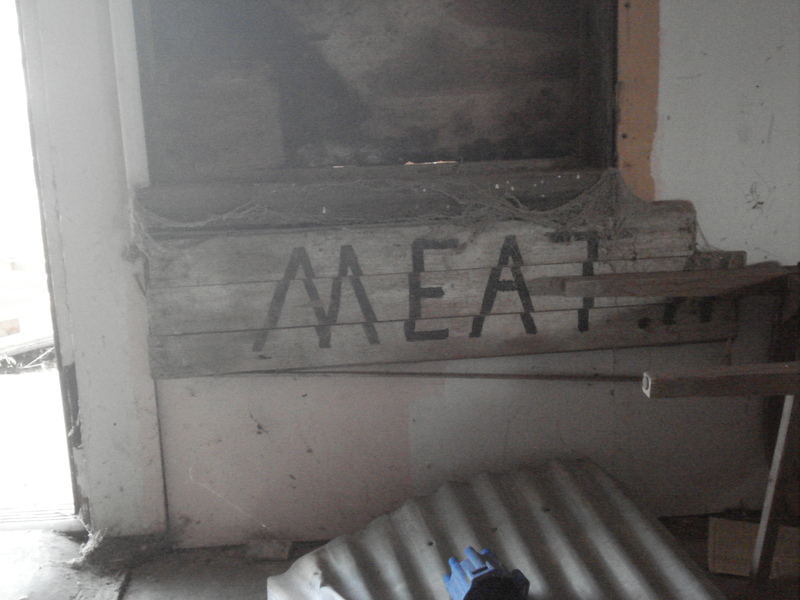 The grocery store is only of value as a piece of decay, for exploring old wrecks. 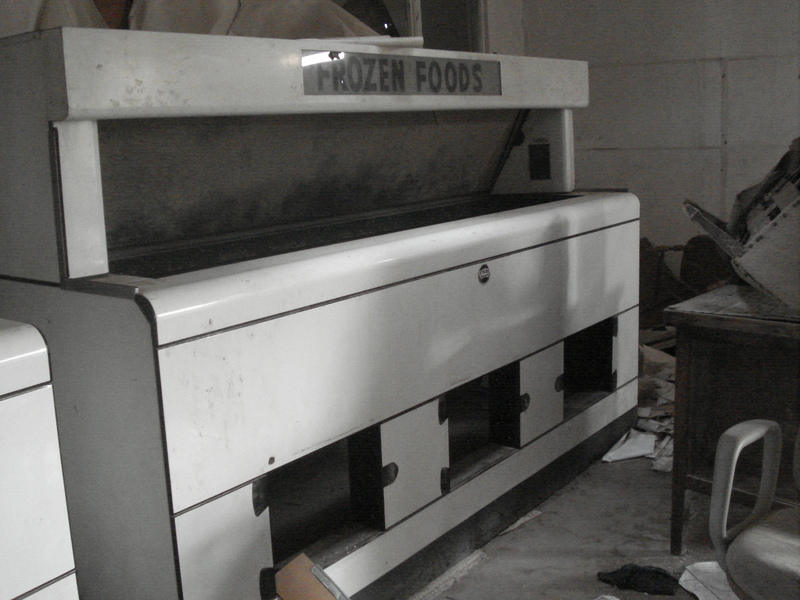 It’s a deep freeze of memory, little motions among the frozen foods that make up life. Here’s my plan: I leave L.A. 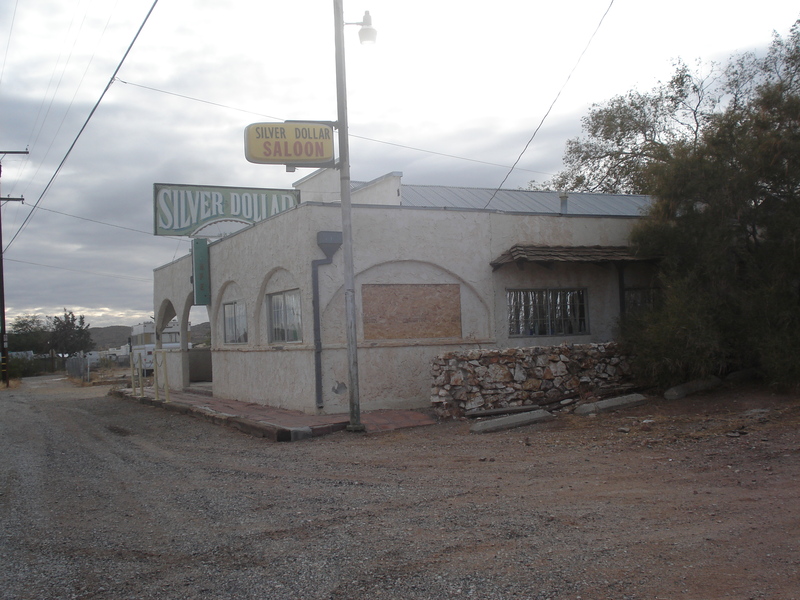 I buy the Silver Dollar, the old saloon. I book some bands, and people come out. The dance floor feels useful again. It could happen. Look at Pappy and Harriet’s in Pioneertown. The historical markers in Red Mountain have references we can no longer follow. 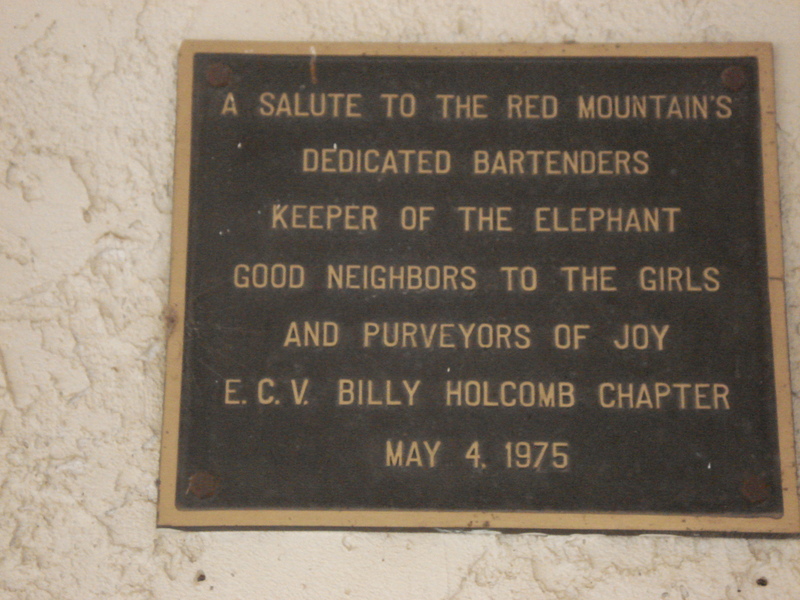 Maybe someone can, some old-timer who can tell us what the elephant was and why the dedicated bartenders of the Silver Dollar were keepers of it. We can hold onto this little thread of history while it frays and the details snap and break in the high desert winter. They turn into pieces of scattered metal and rock. We can edge our own history into this. The Silver Dollar can be patched up and re-stocked. It can be a destination for a certain kind of tourist. There can once again be a keeper of the elephant.